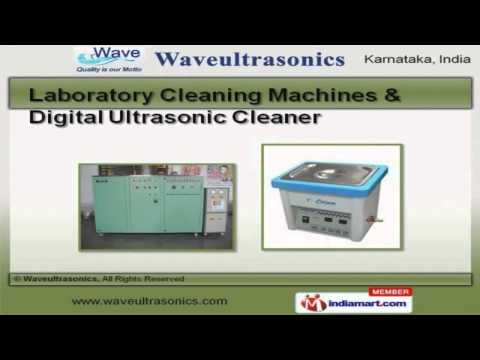 Welcome to Wave Ultrasonics, Manufacturer and Supplier of Ultrasonic Cleaning Machines. The company was incepted in 2010 at Bengaluru. International quality standards and Ethical business practices make us different from others. Strict quality controls, Smooth payment terms and Market leading prices make us the first choice of our clients. We offer a wide assortment of Laboratory Cleaning Machines and Digital Ultrasonic Cleaner. Ultrasonic Cleaning Machines and Equipment are best in the industry amongst others. We offer Laboratory Cleaning Machines and Digital Ultrasonic Cleaner that are widely appreciated in the market. Ultrasonic Cleaners, Tanks and Bath offered by us are some of our best selling products. Our Hard Metal Tools Precision Engineering Components and Ultrasonic Tanks for Hospital are extremely reliable. We offer Ultrasonic Cleaning Machines for Surgical Instruments and Baths for Jewelry Cleaning that are a class apart.